Keizer and Salem, Oregon area. Dr. Carole Larsen is an experienced and compassionate veterinarian who will come to your home in the Rolling Vet M.A.S.H. (Mobile Animal Surgical Hospital) unit. The M.A.S.H. unit allows Dr. Larsen to perform an extensive array of services at your home. Click here to learn about all of our Veterinary Services. 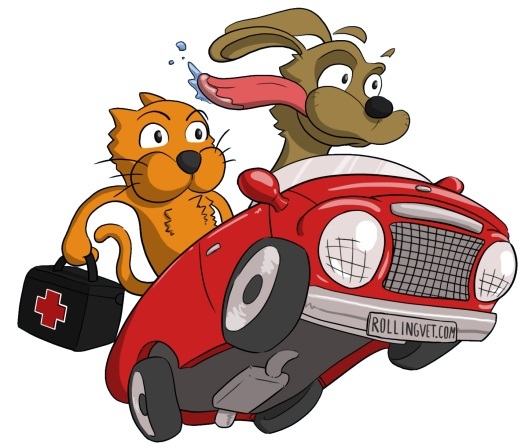 From routine vaccinations, to diagnostic tests and more, Rolling Vet offers a complete range of “in-home” animal healthcare services aimed at keeping your pets healthy and happy. Check out our Blog Posts for Interesting insights into many interesting topics that have to do with your pet.